Hard Maple Travel Hard Maple Blog | Bike Adventure & Canoe Travel Blogs What's so special about the K&P? Next year (2017) is the 150th anniversary of Canada as a nation. We’re a young country. We don’t have a long recorded history, unlike countries in Europe or Asia. Maybe we cherish our history because we have so little of it. In 1871, railways were a big deal. Railways were (and remain) the most efficient way to transport goods over land. In the run-up to Confederation, the Canadian Government had promised a trans-continental railway to entice British Colombia to join. Now they had to deliver and it was a time of feverish development of railways. 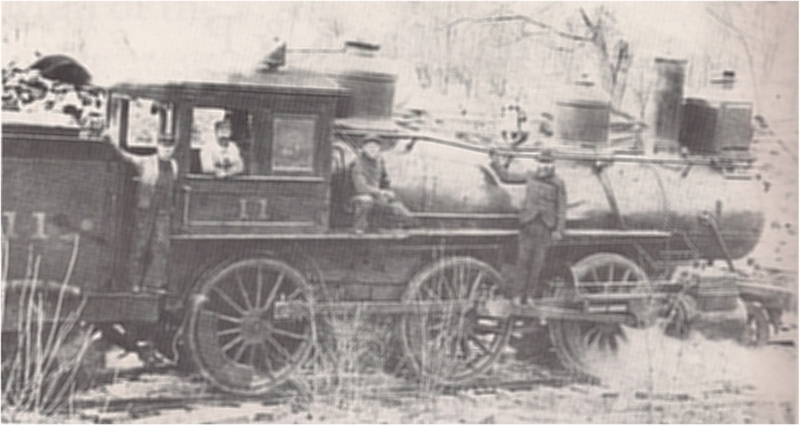 In the same year, just four years after Confederation, the K&P Railway was chartered to run from Kingston to Pembroke, Ontario. This was at the start of the so-called Second Industrial Revolution, at the height of the age of steam, and some 37 years before the first Model T rolled off the assembly line at the Ford Motor Company. In short, trucking wasn’t an option. Roads were just for horses and buggies. As construction of the K&P pushed north over the next 12 years, it connected the communities along the way, and was completed in 1883. Even though it never reached Pembroke, going only as far as Renfrew, it was 180 km. (112 miles) of engineering marvel, transporting passengers and goods to and from the interior of Ontario. This part of Ontario is characterized by rocks and trees (and water). It’s rough. There were no large, prosperous farms and very little flat fertile land. Small towns were established, only because the railway was there. Mines were opened and trees were cut for lumber. Even so, it’s land from which it’s hard to extract money. The "new" Clarendon Station; the old one burned down in 1917. This building still exists and we pass by it on the trip "K&P Trail: End to End". Photo: D.W. McCuaig. With the invention of the internal combustion engine and the building of highways, trucks quickly replaced trains as the preferred way of moving goods and people. The K&P was gradually abandoned until the final section was relinquished in 1986. Parts have been maintained as an official recreational trail and other parts remain in the same state as when the ties were removed, rough, wet, and sloppy. So what’s so special about it? The K&P Trail still provides a way of getting to remote and wild parts of Eastern Ontario. Travelling by mountain bike, you will often be going about the same speed as an old locomotive. You can imagine the steam whistle blowing as you bike through deep rock cuts, past abandoned homesteads and beautiful lakes. It’s a part of our history that people and progress has forgotten.